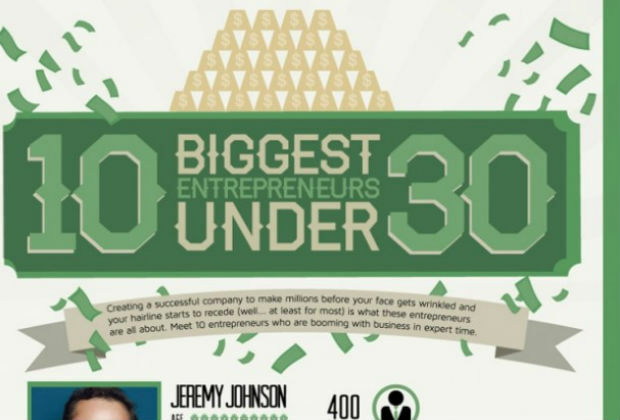 The youngest entrepreneurs in the business world prove time and again that experience doesn’t always equal big success, and these 10 entrepreneurs under thirty prove the rule. They’ve accomplished in only a few short years what most businessmen never accomplish, and they’ve done so to the tune of millions of dollars. Many of these young businessmen got their start by making the online world easier to navigate for people. They’ve sold ideas that make it easier to manage money online, listen to and share music online, and share interesting and amazing new crafts online. The secret to success remains just that: A big secret. However, by looking over the common characteristics of today’s youngest businessmen, you can see a common thread of energy that allows them to put out a product that people truly need and are willing to pay big money for. Their wealth continues to grow thanks to a stream of new and helpful ideas, and ideas are sometimes worth all the world to people, both online and offline. For all of you students, recent grads and young professionals… check out Campus CareerFuel!